This software makes your PC run smoother and faster. It achieves this by cleaning and fixing the registry. Registry is a database where Windows and programs store their data. Badly written programs don't bother to clean the Registry when you uninstall them, and sometimes add unnecessary junk to the Registry. So the older your PC is, the more junked-up its Registry becomes. 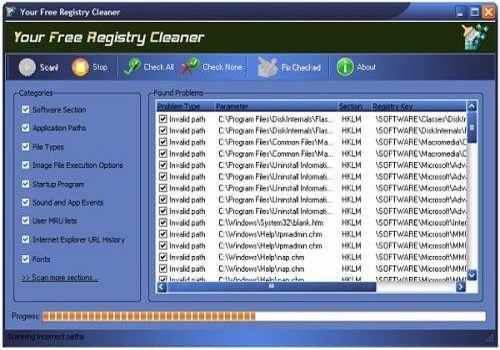 Registry Cleaner will safely clean and repair Windows Registry problems.